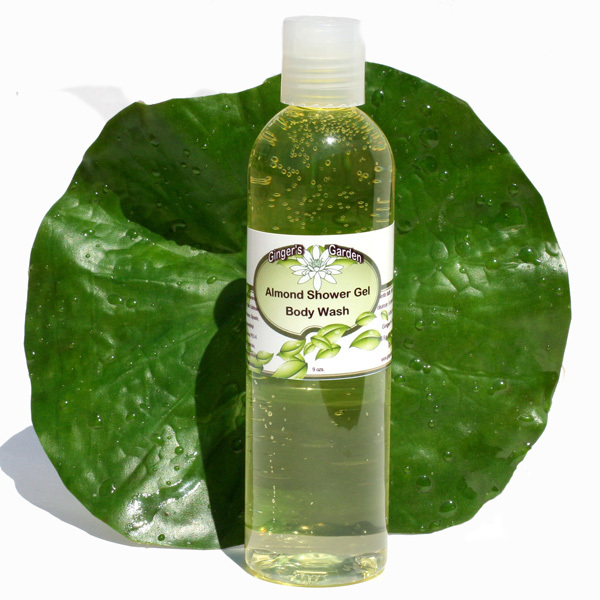 Almond Body Wash Shower Gel with natural aloe vera for gently cleansing the skin in the bath or shower. Almond Shower Gel and Botanical Body Wash smells a little like the almond confections from your local bakery. If you love almond extract in baking, you will love this natural shower gel body wash. The scent is not overly sweet. It will leave your skin soft and silky. Almond Shower Gel will give you lots of bubbles and foam, whether you use a washcloth, a pouf or a sponge. Can be also used in the bath if you like. Ingr: Organic Aloe Barbadensis (Aloe) Leaf Juice, Sodium Olefin Sulfonate, Cocamidopropyl Betaine, Glycerin, PEG-150 Pentaerythrityl Tetrastearate, PEG-6 Caprylic/Capric Glycerides, Polysorbate 80, Phenoxyethanol (and) Caprylyl Glycol, fragrance.